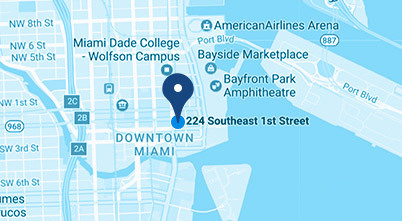 At Bayfront Dental Miami, we are committed to delivering an exceptional dental experience. Utilizing the most up-to-date technology and excellent clinical skills, we aim to exceed your expectations with our personalized care and warm friendly service. Your first visit is all about you -- your comfort, your happiness, and your health. During your first appointment, we will sit down with you to talk about your dental health needs. After we review your dental and medical history, we will take x-rays of your teeth and mouth, perform periodontal and oral cancer screenings, and go over your personalized Smile Evaluation to help you create your own individualized treatment plan. 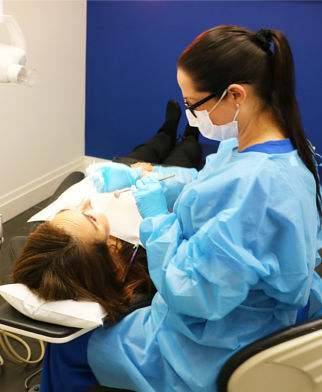 After your complete dental examination, you may schedule your teeth cleaning with one of our hygienists. Before you arrive, we will send you the link to our Patient Information Forms. Please complete the forms prior to your first appointment, so that when you arrive, you’re ready to go! If you’d rather complete the forms using pen and paper, that’s okay too! Simply print out the forms and fill them out at home. Completing your forms in advance will save you time, and allow the doctor to see you on schedule. Kindly give us 24-hours’ notice should you need to change your appointment, so that we can allocate that time to another patient.